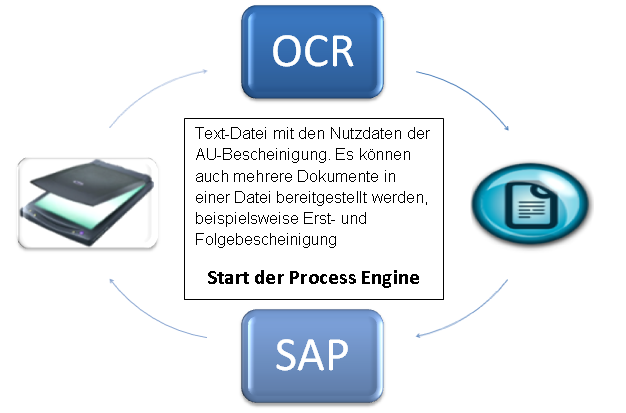 The Process Engine is an SAP addon for installation in SAP systems to run a variety of data import and automate processes. 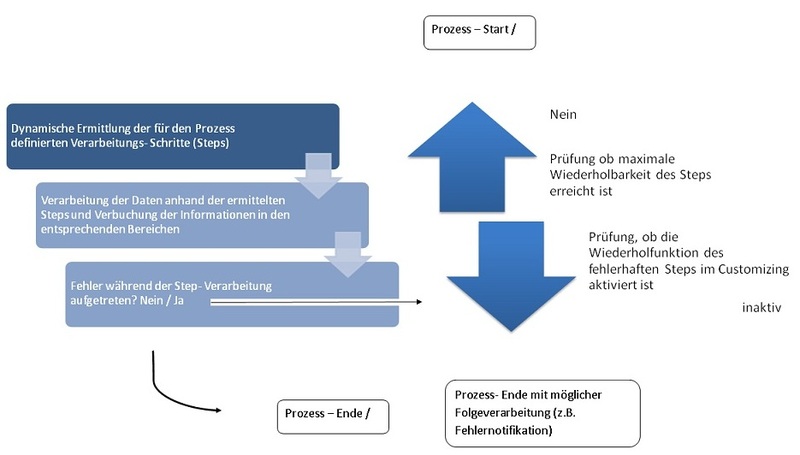 Sie ermöglicht es, prozessgesteuert eingehende Informationen vollautomatisiert zu verarbeiten und zu verbuchen. It enables to process and record incoming Information, fully automatic and controlled by the process. The process engine is constructed generic. The Import data, the steps of importing and their sequence can be determined individually through customizing by the user. For this case the user can choose a variety of available activities. To make individual processes, they can be assembled on the modular principle. The data base and the logging are adjustable by the customer. Within the process frameworks more, customer-specific processes can be generated by Customizing. Activities that are part of the standard package, may at any time be supplemented by custom Steps. The new created steps can be supplied by the customer individually with program code so that the range of customer-specific applications have virtually no Limits. Dynamic analysis of the received data and determine the process by using an indicator contained in the User data. 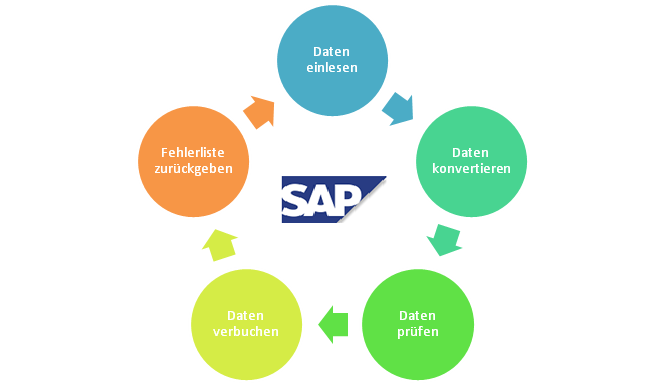 The delivery of the Software take place via the SAP export files of a SAP transport request and includes all necessary transport objects. About a dynamically transmitted indicator is defined, which process for processing is applied. Included is the process “work disability process (AU certificates)“.